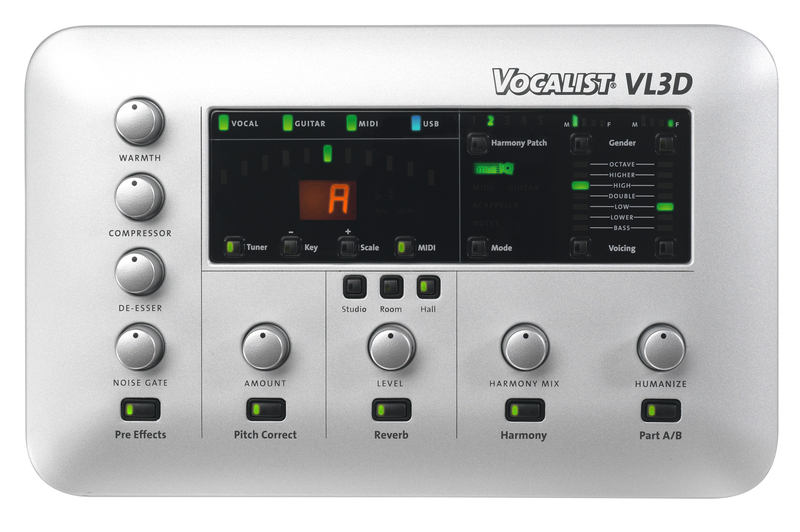 The VL3D is a 3-part vocal harmonizer designed for your desktop. Perfect for keyboard players and the studio. The VL3D offers 3-part harmonies using breakthrough musIQ™ technology, which analyzes the singer's voice and adds the most musically correct harmonies while offering real-time pitch correction and gender control. Featuring single-level programmability and five user defined voicing patches; the VL3D can be programmed on the fly without missing a note. 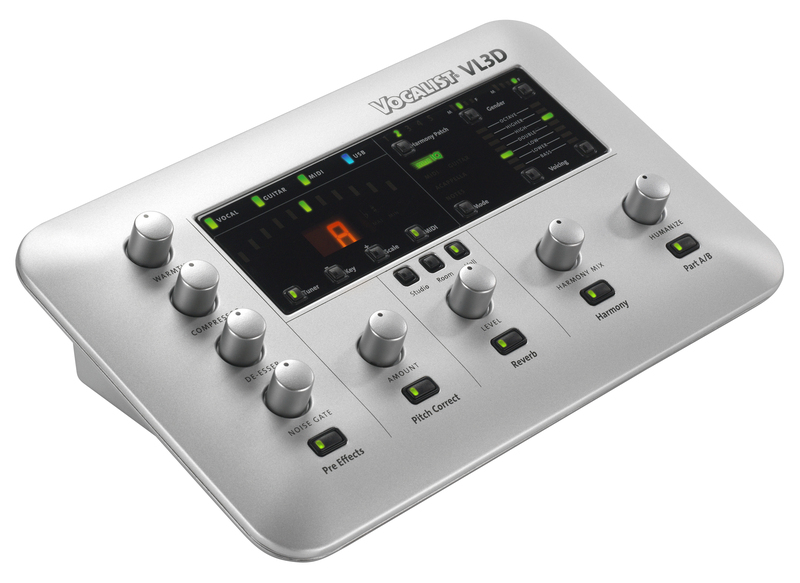 The VL3D's inputs include Midi In, Out/Thru, guitar or line level, and XLR. musIQ® is a revolutionary technology that eliminates the need program a song's key or changes to create accurate harmonies. musIQ® analyzes your lead vocals as well as the chords and notes played on a guitar in real-time to automatically generate perfect vocal harmonies. Simply plug into the VL3D, play your guitar and sing. The musIQ technology will ensure the harmonies are always right on. 3-Part Harmonies using breakthrough musIQ™ Technology which analyzes the singer's voice and adds the most musically correct harmonies. Gender Control for both Male and/or Female backing harmonies.